Delhi University is all set to begin the online registration for admission to undergraduate courses. 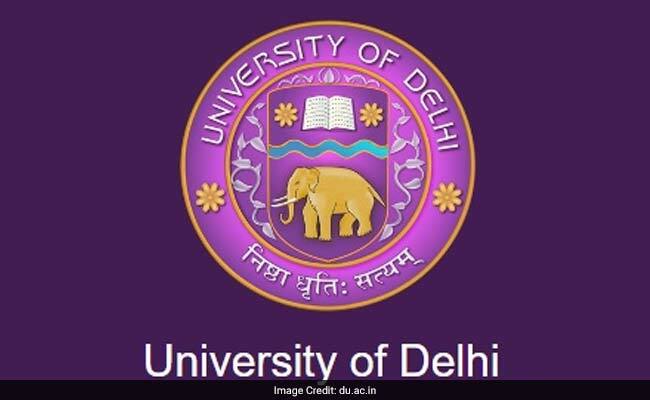 New Delhi: Delhi University is all set to begin the application intake process for admission to undergraduate courses. Though it has begun earlier than previous year, but it has been too late as per the plans of the varsity. The University will begin the online registration for 54000 seats available in 62 affiliated colleges. As per the press release, the application submission is likely to continue till 12 June 2017. Delhi University will accept applications through online mode only. Online registration is undoubtedly an easier and convenient option to the postal submission mode. However if issues of slow website coupled with internet faults arise, it makes it a daunting experience. In that case, students should not deter and wait for a while before retrying the submission. Applicants often complain of wrong information in their applications at a later stage, likely while downloading the admit cards. This not only becomes difficult for the candidates, to issue a complain and wait for it to be solved by the authority; it also becomes difficult for the concerned organisation to sort out everything. Cyber cafes are one of the favorite alternatives opted by applicants. However, in that case make sure that every detail mentioned in the application is accurate, before submission. The Board has also put an end to multiple registrations this year. Therefore applicants must be careful about it; once your board roll number is entered in the application form, you won't be allowed to register for a second application. However, mistakes if any, can be edited till the admission process is continuing. The first open day for undergraduate admission has begun. Applicants can clarify their queries regarding the admission process till 1.00 pm. DU will conduct open days till 31 May 2017 at Conference Center, Gate No. 4, North Campus. Make sure you have the documents ready before logging in for DU admission application. It is often seen that students, lose out the time and their mind, while running here and there immediately after going through the online application. In order to save time, grab your documents and get the scan copies right now. While the beginning and end date of the online registration is known to all, applicants often miss out the other important dates of the admission process. Keep a track on the admission process with the important dates, to be released. Issues or delays, if any, should be clarified with the varsity at the earliest. The first cut off is likely to be released in the fourth week of June.